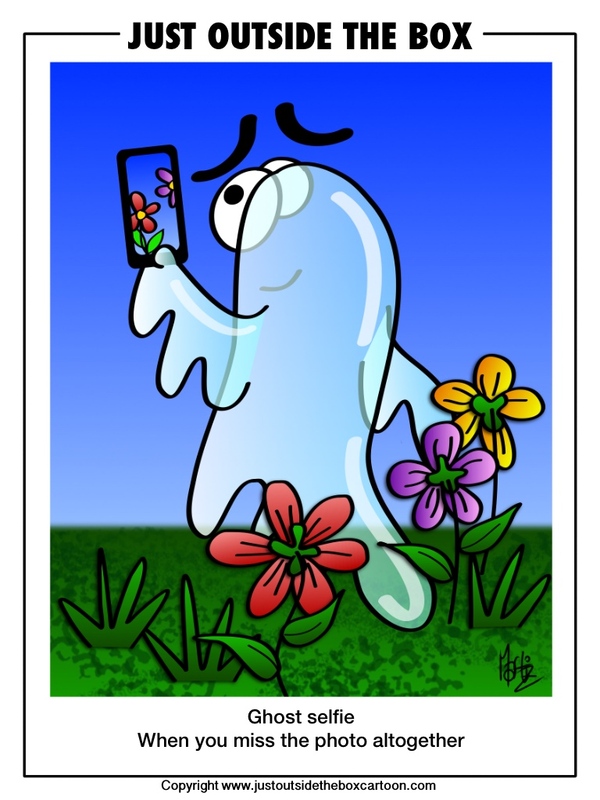 Ever taken a ghost selfie? I have my work friend to thank for this one. She looked at my arm and said, ‘You’ve been bumped by an angel.’ Not understanding, I said rather intelligently (not), ‘Huh?’ She plucked the lone feather which was stuck to my jacket and showed me. It made me smile. Hope this cartoon makes you smile too. And an important message for current followers of this site. I’ve finally plucked the courage to change over from this WordPress hosted site to self hosting. What does this mean for current WordPress followers of this site? It means that you’ll receive an alert when I convert. If you wish to still keep in touch (and I’d love you too as it might be rather lonely out there), then you’ll be promoted to re-subscribe. For current email followers, there’s no change as the emails will continue. Why the change? I feel that I’ve outgrown the current environment and want to have more freedom with the development of my site. I have no skill set, so I’ll have to learn as I go. Rather than a well thought out plan, it’s a bit more like a leap of faith. Wish me luck and hopefully you’ll join me. And yes I realise not everyone has an iPad, so if you have friends with children who you think would enjoy this, then send them this link. Yes, I’m still here at the bottom of the image in the hope that if you haven’t clicked yet, you’ll do so now with a bit more patient prodding. Those of you who have followed my site over the last 4 years know that I don’t go shoving my stuff down your throat (very often). So, if you’ve enjoyed my work so far, your finger clicking help would be appreciated as the e-world is a tough environment to crack. If you really want to make my day, then rate it on iBooks too. So, back to the experiment. You’ll be able to check in live to see if the eBook is making traction. Once I have 5 ratings, there should be an overall rating displayed in the iBook Store. (Why 5 – well, even Google was a bit stumped on what number it was and the best it could find was ‘hear say’ on forums). Anyway, together let’s see what happens. Are you in? Then click now. Evolution disruptors are man-made or naturally occurring objects that, at certain levels of exposure, can interfere with the natural selection genetic process and alter the future evolutionary path in animals. It can result in adverse developmental, reproductive, neurological, and genetic mutations in both humans and wildlife. 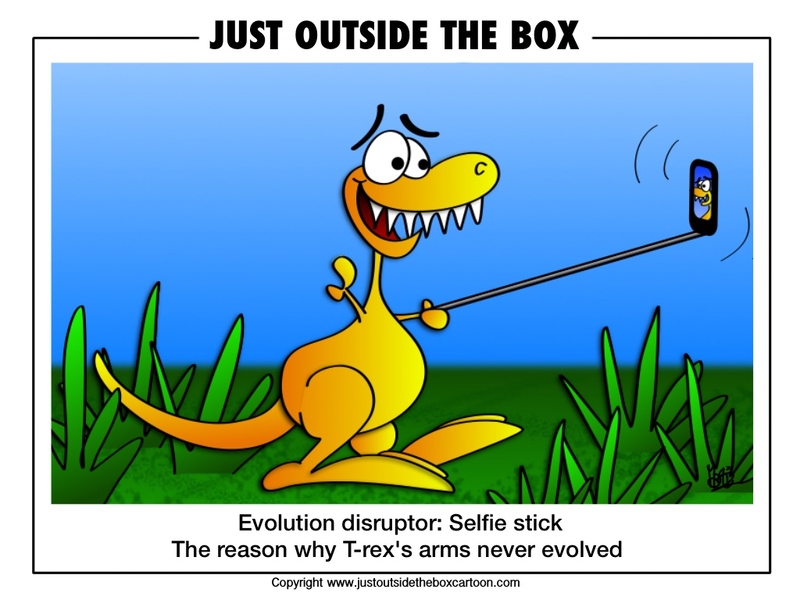 A wide range of objects, both natural and man-made, are thought to cause evolution disruption, including the selfie stick. Can you think of another examples? 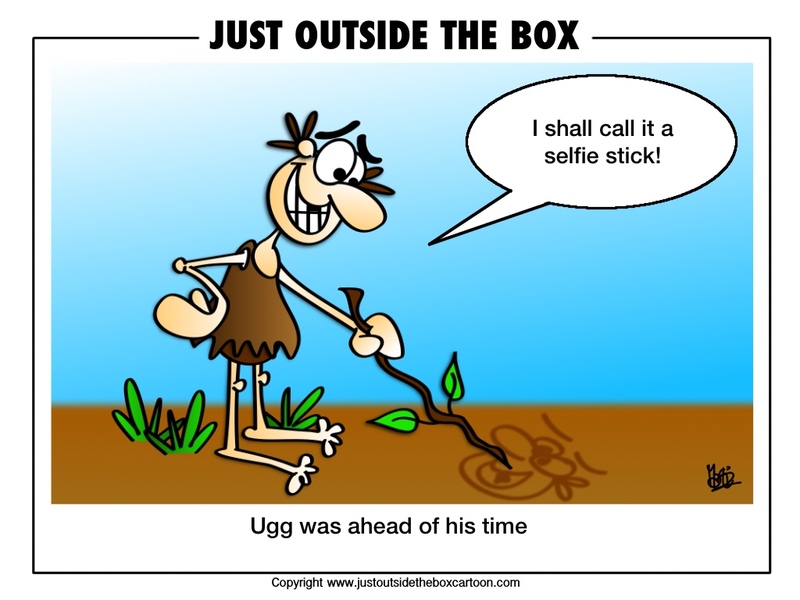 Next generation selfie? You could make a full 3D selfie model out of this. Have you ever wanted to own your very own bit of outer space? Perhaps a handful of gravel from Mars or a chunk of moon rock, or maybe you’re thinking a bit bigger… how about a planet, star or black hole? Come and visit as we are celebrating the official launch with a new product we call The Sizzler. Can you guess what it is? Check it out here. In case you are wondering where this fits in with my regular postings, it was inspired by my soon to be released book How to make an Alien which involves outer space. I set up this site to engage with lovers of outer space (and aliens 🙂 ). I thought it would be a great way of continuing with the fun in the book. Check out the site and leave a message to let me know what you think. Better still, subscribe too. Ah, the selfie stick. Will it define our generation in years to come? Not all are on board with the selfie stick. London music venue halls in Wembley are banning the selfie stick as it is considered a safety hazard to others surrounding the stick user, especially in crowded halls. Disruption to people’s view of the performances was another reason cited for the banning of the stick. Do you own one and brandish it everywhere you go with great pride and gusto? PS. If you leave a comment below, I might just quietly share with you whether or not I own one. Would you like to receive a fun cartoon weekly? Enter your email to receive a free cartoon every time I post one. An interactive ebook available on iBooks only & it's FREE! Click image to download now. Just Outside the Box Cartoons by Marti is licensed under a Creative Commons Attribution-NonCommercial-NoDerivs 3.0 Unported License. Based on a work at www.justoutsidetheboxcartoon.com. Feel free to share my work for non profit purposes, but please attribute my website. 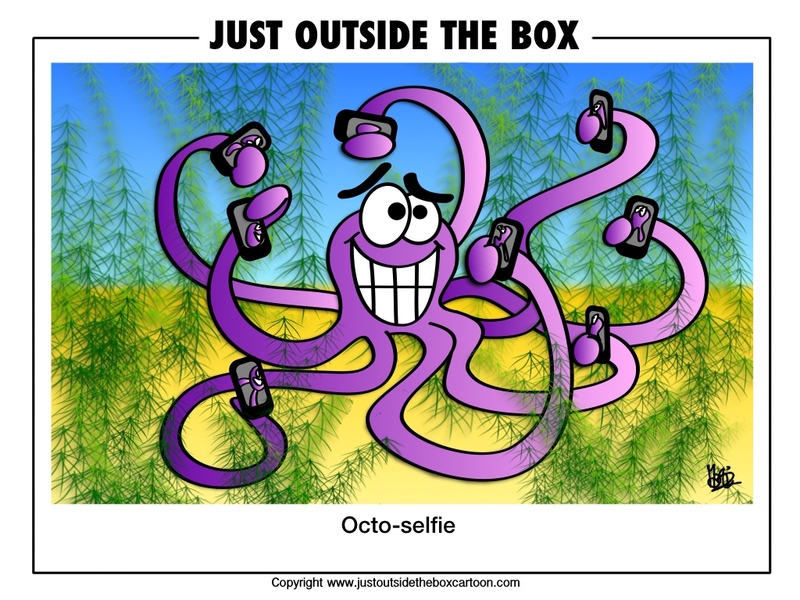 Permissions beyond the scope of this license may be available at justoutsidebox@gmail.com.